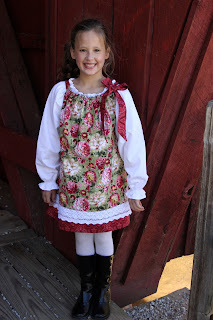 Foot Loose and Fancy Free Boutique: Any suggestions for new pattern name "Sew ???" Double layered pillowcase type dress with lace insert. This is the fall sample and will have a spring sample to show in a few days.